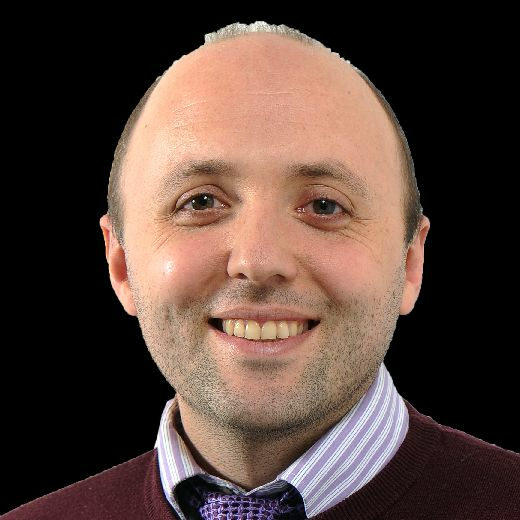 Perennial complaints about the January transfer window – the impulse buying it promotes, the poor value for money it offers – are not reflected by a reluctance among English clubs to use it. Premier League spending in 2016 was the second highest on record. Deloitte set expenditure in the Championship at £35m by the end of the month. The stand-out statistic was that Newcastle United, with 48 hours to go, had coughed up more than Germany’s Bundesliga combined. The second week of December is, according to Garry Monk, “a little bit early” for him to be talking about Leeds United’s January intentions but the form of his side has increased the significance of the next window. Leeds backed off from any major business midway through last season after Massimo Cellino and Steve Evans agreed between them that the play-offs were mathematically unlikely but the club can expect to be in the hunt at the end of this month; seriously in the hunt if their trajectory continues. Monk cannot fool any prospective signing into thinking that a move to Elland Road in January will unseat Chris Wood from United’s starting line-up but that is still the position where Leeds are most vulnerable. Wood’s fitness has held up well this season with no sign of the hamstring strains which hampered him a year ago but he is the only player naturally suited to working alone in the formation which Monk has nailed his colours to. A front two seems more in tune with Marcus Antonsson’s strengths and Souleymane Doukara prefers playing wide on the left. While Kemar Roofe is finally settling at number 10, his physique is not that of a lone striker. Therein lies the quandary for Monk: he has goals in his squad but only one forward who will do what Wood is doing in a very precise role. It is too much of a risk to presume that United’s top-scorer will breeze through another 27 league games, especially without the protection of the defunct emergency loan market but the recruitment of another forward should cover Wood’s position rather than threaten it. The experiment with Roofe as a wide player is over. At Oxford they said that the 23-year-old’s versatile attitude did not change the fact that he was happier playing through the middle and United’s last three games have proved as much. That leaves Monk with three wingers: a rejuvenated Doukara, an off-colour Stuart Dallas and a player in Hadi Sacko who can be lethal on his day but sometimes gives the impression that his pace is disguising major flaws in his game. Width is pivotal in Monk’s 4-2-3-1 system and United’s head coach needs enough variety on the flanks to compensate for the fluctuating form most wingers endure. Roofe has played there and Pablo Hernandez has played there but both were marking time, waiting for the chance to gravitate to another part of the pitch. 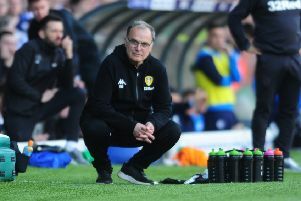 Amid the complexities of tactics and performances, Leeds have been at their best this season with the simple philosophy of round pegs in round holes. Monk could easily have given himself a spare central defender by retaining Sol Bamba in August but Bamba’s situation was complicated by his age and status. At 31, and in the latter stages of his career, Bamba became fourth choice at a club he was supposed to be captaining. It did not strike Monk as a good idea to hold him so far in reserve. But throughout this season, Leeds have been on the cusp of a shortage at centre-back, a fact which makes their record all the more impressive. Kyle Bartley has now started 18 games in a row. Ailments affecting Liam Cooper and Pontus Jansson have left Monk without an alternative on his bench and the situation came to a head at Liverpool last week. Jansson was ill, Cooper injured an ankle and Luke Ayling was forced to switch from right-back to partner Bartley for 45 minutes. Ayling is capable of doing that but he has been arguably United’s best player this season and undoubtedly their most under-rated signing. A move away from full-back is not in Monk’s interests. Leeds won’t look to replace Bartley or Jansson next month. There are few pairings in the Championship as good as them and this might be an occasion where a younger addition makes sense. United will find some safety in numbers. There are many strands to the debate about Taylor’s immediate future: what he wants, what Leeds United want, how Massimo Cellino feels and how a new investor, namely Andrea Radrizzani, sees the left-back’s situation. Taylor’s form dipped at the start of this season but he is playing now as Sam Byram played in the run-up to Christmas last year, exerting a telling influence. He is Monk’s first-choice left-back by a mile. United were able to sell Byram last year in the knowledge that they would finish mid-table anyway but flogging Taylor is more of a gamble and the club will surely see the difference. If offers for Taylor become excessive then an argument for taking the money can be made but not without the recruitment of a replacement – and not, for example, because it is the only way of paying to convert Jansson’s loan from Torino into a permanent transfer. Cellino promised to keep Taylor until next summer regardless of his contractual position. That stance should be just as strong now.